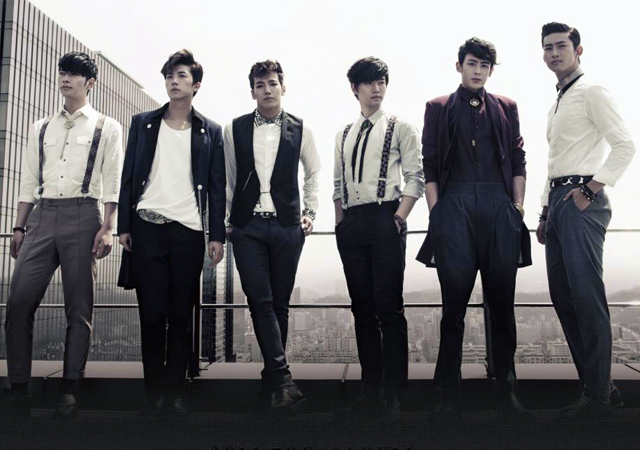 Korean boy band 2PM's comeback album has topped iTunes charts in the Philippines and five other countries. 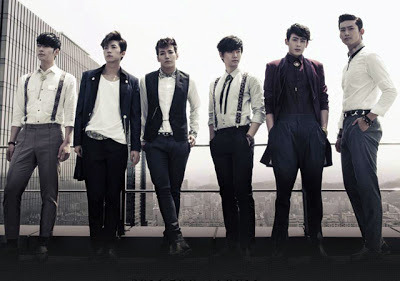 2PM released their third Korean studio album "Grown" online on May 6 and it rose to the No. 1 position on the iTunes album chart in the Philippines, Thailand, Taiwan, Hong Kong, Malaysia and Singapore. The album consists of 12 songs including "Comeback When You Hear This Song," "Zero Point," "Dangerous," "Coming Down," "Love Song" and "One More Day." The title track "All Day I Think Of You" will be released on May 11. 2PM will be returning with a TV special titled "2PM Returns" on May 11 on MBC. On Tower Records Japan, "Grown" zoomed to the No. 1 spot on the pre-order chart, knocking off 2PM's own Japanese song "Give Me Love," which will be released on May 29. As of today, 2PM occupied the top four positions on Tower Records Japan's pre-order chart. When 2PM held their concert in Manila last March, the boy band said fans should expect their new album. "Be prepared for your mind to be blown," they said. They added that the album would be different. "It's gonna be dynamic, different from before. It seems like we have upgraded our levels as not just idols but more like matured men, artists. It's gonna be somewhat (have a) different feel from what we usually gave before. It's gonna be easy to understand, we'll gonna get right to the point where it's like [when] you hear it, you exactly know 'Oh, this song is good,'" said Taecyeon during an exclusive interview with Bulletin Entertainment and five other media outlets. JYP Entertainment released the music video for "Comeback When You Hear This Song" on May 6, racking up 500,000 views to date. In a review, ENewsWorld said the track "is probably one of the sweetest I'm-Begging-You-To-Please-Take-Me-Back songs." "The boys sing for the girl (yes, one girl for all six members, like most typical K-Pop music videos) to return, as a series of flashbacks roll out, explaining why the boys broke up with the girl - for none other than the seven deadly sins," it said. It added, "Slick graphics and intricate details aside, this new music video and song showcases just how much 2PM has grown since its debut in 2008."